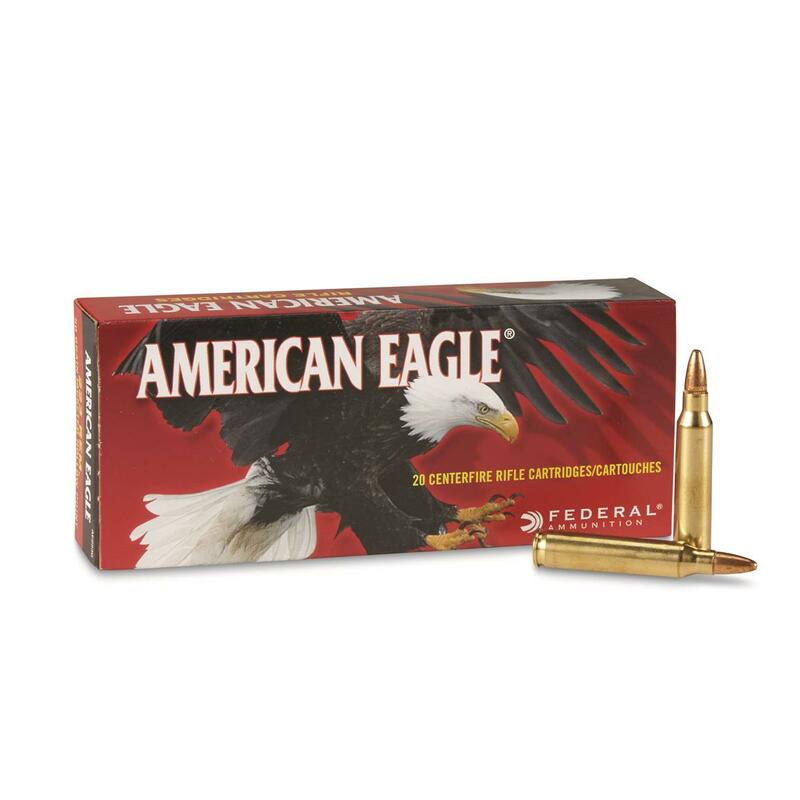 Get this Federal® American Eagle® ammo for varmint hunting success. 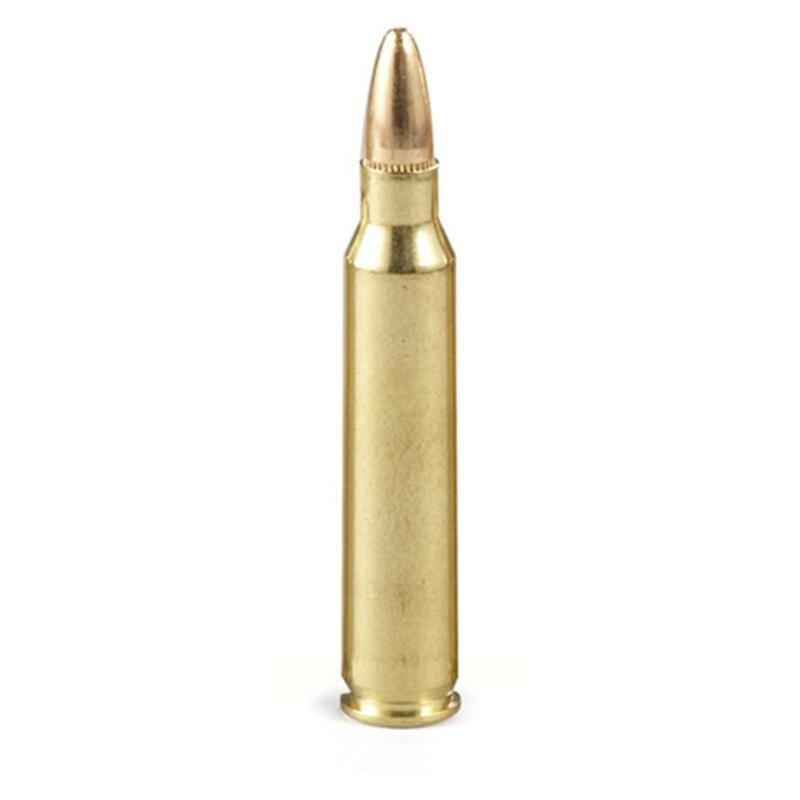 Jacketed hollow-point bullets are accurate and lethal, priced right for high-volume shooting. Order today and get hunting! Federal, American Eagle .223 Rem., JHP, 50 Grain, 20 Rounds is rated 4.7 out of 5 by 12. Rated 5 out of 5 by Bald Guy from Great price, accurate also!! I got to shoot these out of my Ruger American .223, at 100yds Im getting consistent 5/8" groups!! Not bad for a box of shells under $10. Also got a coyote the other day at 186yds, lazer ranged, dime size hole on exit, fantastic!! Rated 5 out of 5 by JDubbs from Functioned Well... BUT BE WARNED!!! Fit and function were perfect (no fte, ftf, etc.) - But be warned!!! Tried these in 1:7 and 1:9 (S&W M&P 15) barrels and could not get smaller than a ~2 - 2.5" - 5 shot - group out of either (off a lead sled so no human variance). Rated 4 out of 5 by VAN from Interested to try this cartridge, bought simply on "stars" it was rated. Hope it shoots well. Rated 5 out of 5 by RUDY from Bought more of this ammo,fast shipping and reasonable! Rated 4 out of 5 by TYLER from Haven't fired this round yet but seems to be a good buy for the price. Rated 5 out of 5 by RUDY from Awesome!!! !